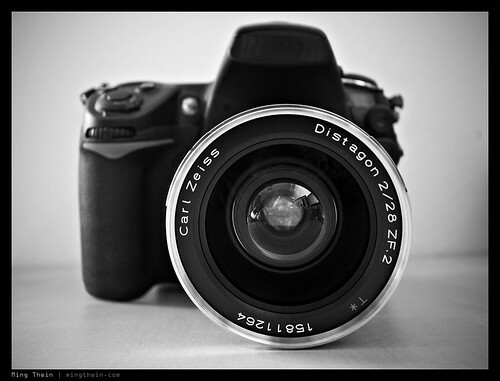 Nikon D700 and Carl Zeiss ZF.2 2/28 Distagon. This is my watch photography workhorse, though with a different lens. I’ve often been asked why I tape over the logos on my cameras – simple: I don’t want to retouch out a ‘Nikon’ reflection from the watch case! Click on all images for larger versions. 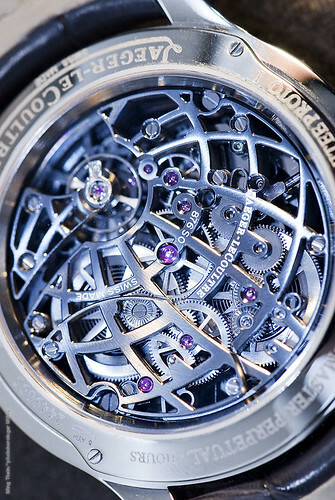 Trivia: I started taking photography seriously only after I got interested in horology. I wanted to be able to capture the mechanical beauty of timepieces and their movements; all the more so as thanks to the generosity of many forum members and collectors, I was able to see many rare pieces – but of course not own them. Learning to photograph them properly would let me appreciate the craftsmanship and detail long after they went home with their owners. That was 2002. Fast forward nearly ten years, and photography has turned into the dominant passion for me. 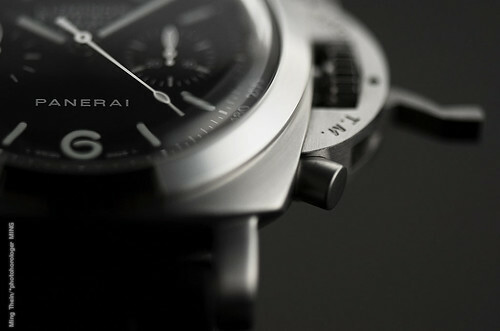 Watches, however, remain a subject that close to my heart. It’s not uncommon for other people to get into photography the same way – I know more than a good handful of my watch collector friends have also taken up cameras to capture their timepieces. And in some ways, collecting camera equipment can be just as satisfying (and expensive!) if not more so than watches. There is a degree of interactivity and possibility for creative expression from the collector, far more so than even the best grande complication. 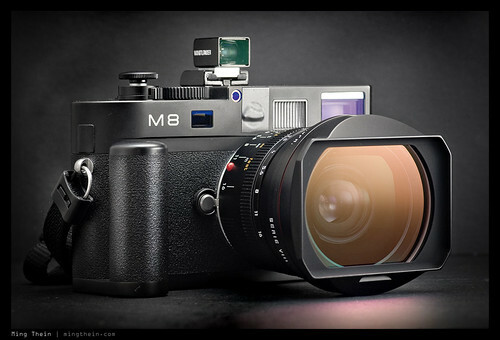 Leica M8, 1,4/21 Summilux-M ASPH, Leica hand grip M, Voigtlander 28/35 mini-finder, ThumbsUp grip. How can this not also appeal to the watch collector? Mind you, this combination is absolutely useless for watch photography. This will be the first of a series of three articles about the subject. 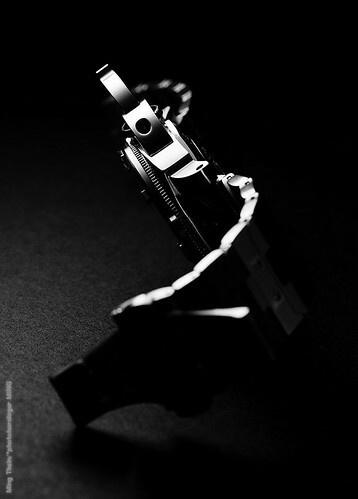 I will start by taking a step back and examining the objectives of photography in general, how other factors will influence your ability as a watch photographer, and how to develop the first skill: composition. The second article can be treated as a primer: how to make the most of what you’ve got. We will finish with an article for those who want to get really serious: I will share the techniques and equipment I use, as well as a note or two about post processing and retouching. Why do we take photographs? Usually, to capture something, a moment, a feeling, an image – the image we see in our mind’s eye. This is usually quite different to how it turns out on the camera – but don’t worry, it’s fixable. We need to learn how to see like a camera, and in turn make the camera see like us (i.e. make it do what we want it to do). Part of this is learning to visualize, part of it is learning technical skills and how to operate your camera and what its limitations are, and all of it is discipline and practice. The human eye sees things in two general ways: our greater field of vision perceives a fairly wide scene, equivalent to somewhere between a 24-28mm lens. When we focus on something, our visual field narrows to something closer to about 50-60mm. The brain corrects for distortion, perspective, color, low light, and extreme highlights and shadows; furthermore, most things are in focus all of the time (unless we go very close to something). There is one further complication: we have two eyes. So our sense of perspective is also affected by depth perception, something we do not have control over with 2D cameras and images. Replicating a human perspective is quite tricky, actually. It has its advantages – you can capture something very close to what you saw, which may be what you want; but similarly, there are things you can do with a camera that the naked eye will never be able to achieve – isolation through extremely shallow depth of field, for instance. Or exaggerated or compressed perspectives. Let’s go back to watches. Think for a moment: what is it about the watch that you find attractive? The whole case? A particular detail on the movement? 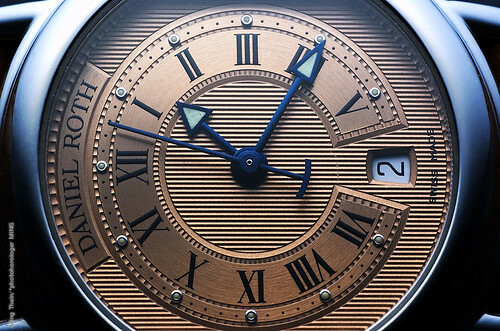 Or perhaps something else, the way the light reflects off the dial texture? 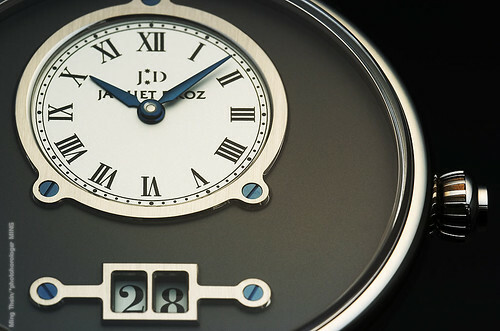 What is the essential quantity, element or detail that represents the watch? For example, this would be the crown locking bridge on a Panerai, or the bezel on a Royal Oak, or perhaps the screwed chatons of a Lange. First lesson: a good photograph always captures the essence of the subject. It should make the viewer think, but its intended subject should always be identifiable. 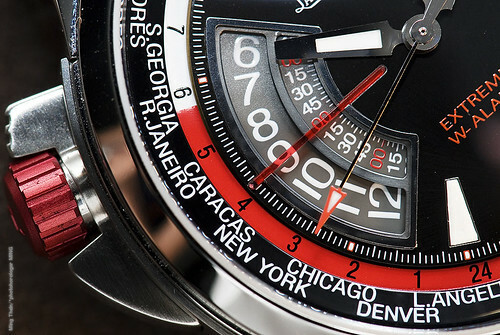 For most people, watch photography means getting the entire watch in frame, in focus and reasonably well lit. The first two things aren’t always required: look at some of the photoessays I have posted on Fratellowatches, and notice how few shots actually show the entire watch, or have everything in focus! Beauty can be in form and detail. Don’t afraid to leave things out to only capture the interesting bits. The clichéd saying is ‘less is more’ – it should be restated more accurately as it requires effort to decide what is non-essential to your composition and can be left out. What about popular rules of photography, like the ‘rule of thirds’ (divide your frame into three, horizontally and vertically, and only place subjects at the intersection of those lines) and suchlike? They are there as a guide. While they are generally useful, there are a lot of compositions that defy all of these rules and somehow still manage to be visually arresting. The only rule that I follow is that the frame must be visually balanced: for instance, I generally won’t put the watch at one corner and leave the rest of the frame empty. It might be filled with a shadow, some interesting texture in the background, or the curl of a strap – these elements are deliberately there to provide visual balance. Why do you think watch hands are always set to 10:10, 1:50, 4:40, 8:20 or some other similar time? They provide balance. Similarly, pay attention to things in the corners or at the edges of your frame: they can be distracting and draw your eye away from the main subject. Lesson two: Look at the details; balance is important. They define the subject but can also often draw the eye away if they are in the wrong place. Let’s talk a bit about light. Light is perhaps the most important element for any photograph – without light there is no subject, and this makes even composition secondary. 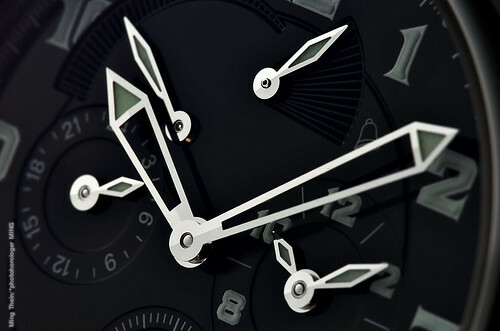 For a subject like watches, beginners will just look at the subject, or perhaps technical elements of the camera or composition. Amateurs will look for good light; professionals will create their own (and through this, manage to realize the shot they are visualizing). Lesson three: If you are using ambient light, pay attention to how the light falls; reflections, shadows, etc. Diffuse light is flattering, but will not show texture well. Similarly, direct, bright light is great for showing texture – including dust and scratches. Lesson four: Clean and dust your watches before photographing them – the closer you get, the higher resolution your camera, the bigger and more obvious the dust! Finally, lesson five: spend some time just looking at the watch before you begin. Identify the angles from which it looks best; which details are distinctive; what do you want to capture? Stay tuned for the next installment in the series!